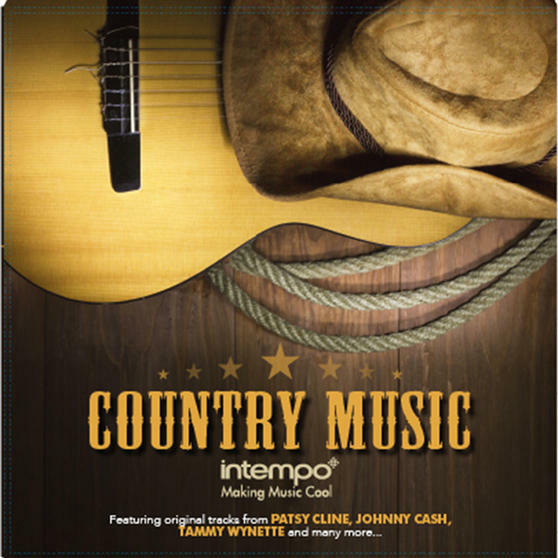 Unwind and listen to all of your favourite country hits with this country music compilation vinyl album from Intempo. 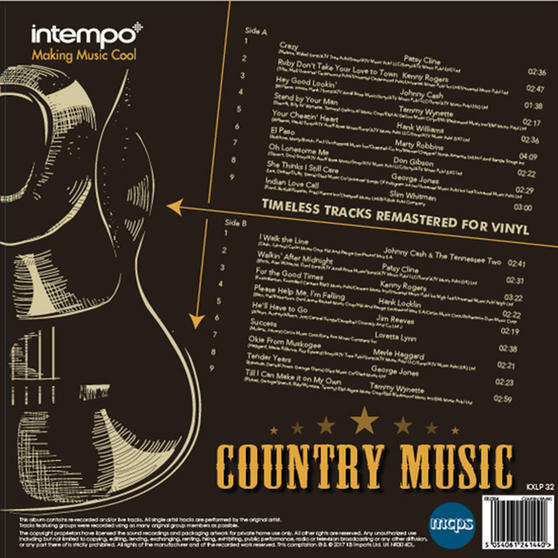 Including tracks such as Stand by Your Man, I Walk the Line and For the Good Times, this album is perfect for any fan of timeless country music. Remastered for vinyl so you can enjoy a truly authentic audio experience, this album is the ideal gift for any occasion and comes in a beautifully designed sleeve to preserve its quality. For original recordings of classic songs, just add this Country Music album by Intempo to your vinyl collection. This double sided record features 18 songs including Till I Can Make it on My Own, She Thinks I Still Care and Okie from Muskogee. With timeless tracks, the record will make a wonderful gift, to introduce someone you know to vinyl or help expand their collection.